Hello, Pizza Cat Fanciers! I am Guido Cerviche, son of the infamous Speedy Cerviche and Polly Esther. Welcome to The Samurai Pizza Cats Memorial Shrine of Fan Fiction. 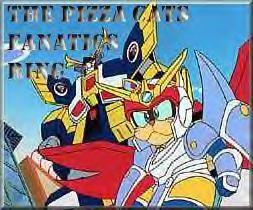 This site, if you haven't already figured it out, is devoted entirely to Pizza Cats fanfic. Here I hope to exhibit fanfics by the creme de` la creme of fanfic writers, my own contributions to the world of Pizza Cats. This is the Emporium, the heart of the site. It's not much, but it's home. Below is our menu, so to speak. Although I have tried to finish this page as much as possible before posting, many sections are still under construction, and may continue to be for quite some time. If I do not foresee a given section being completed sometime in the near future, it will be removed until it is fully completed. For now, simply take what you can get. Or IM me at CervicheCat. 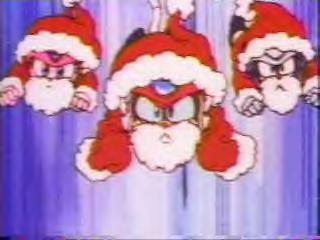 This site is part of The Pizza Cats Fanatics Ring. Interested in joining? Click here for info!